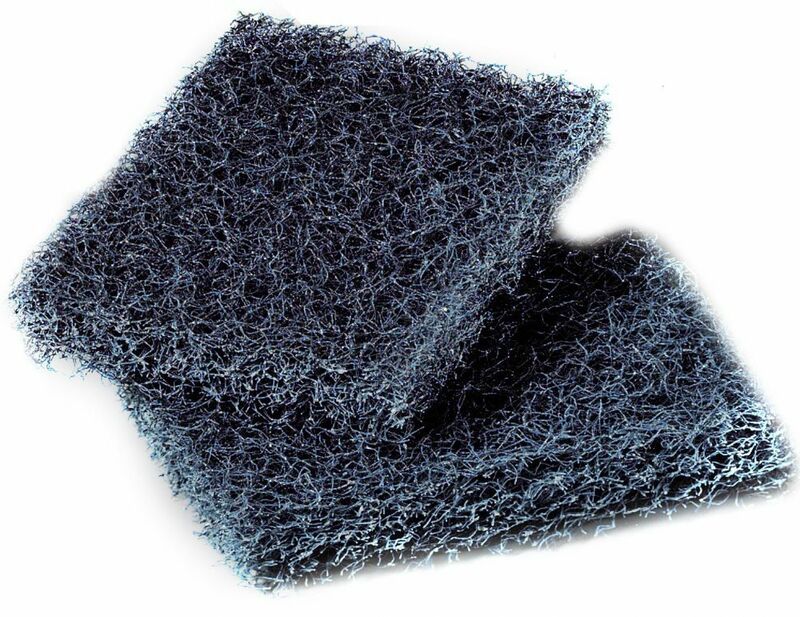 An aggressive scouring pad, this product takes on encrusted, baked-on food, and leaves pots and pans sparkling. Replace your metal scouring pads and sponges with this no-rust, no-splinter, easy-clean alternative. Perfect for cleaning stubborn cheeses and thick sauce deposits, this is an amazing pot scrubber. Â It is made of high-quality synthetic fibers in a thick, open-mesh construction. It is more forceful than similar competitive pads removing two to three times as much baked-on food from cookware and dishes. This aggressive cleaning action means less time and effort for cleaning grimy surfaces. After use, rinse out food particles and wash pad in soapy water or a dishwasher, leaving it clean and odor-free for reuse. It is not recommended for polished or easily scratched surfaces.